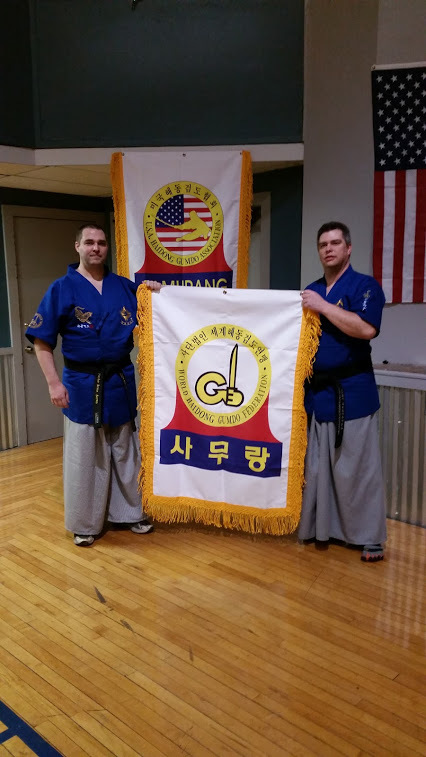 Northwind Martial Arts LLC offers training in Haidong Gumdo, a Korean sword martial art, in Bemidji, Minnesota and Fisher, Minnesota. Northwind Martial Arts’ instructor is Master Bruce Burns. A previous student of traditional fencing under Master Ernest Kirally, Eyal Yanilov’s Krav Maga, and Tae Kwon Do under Mr. Kiel Soon Park, Bruce Burns is a 3rd Dan instructor in the U.S.A. Haidong Gumdo Association. Our Assistant Instructor is Mrs. Katie Malbraaten. Mrs. Malbraaten holds a 1st-degree black belt in Haidong Gumdo and a 1-st degree black belt in Tae Kwon Do. She is also a state champion archery competitor. Interesting. I look forward to following your journey.